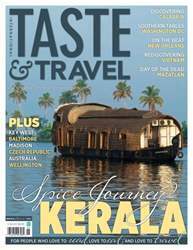 In the Fall issue of Taste&Travel we take a spice journey through Kerala, discover Calabria and visit a cooking school on Prince Edward Island. Then its real food and real people in Wisconsin, a thirsty stop in the Czech Republic and a celebration of food and music in New Orleans. Emily visits Mazatlán for a Day of the Dead party, Shari flies off to Florida for stone crab and Nathan revisits Vietnam. 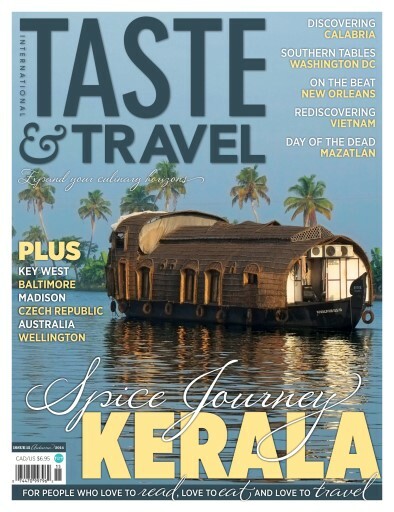 So much to explore and read about in our Fall 2014 issue.